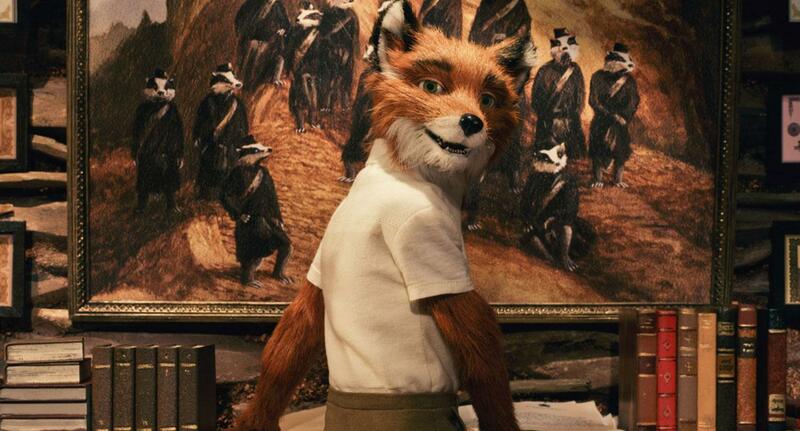 A Movie A Week #24: Fantastic Mr Fox | I Review Too . . . I Review Too . . .
Say what you want about floppy haired filmmaker Wes Anderson. Whether you think he’s an untouchable auteur or simply obsessed with his own twee humour, there’s no denying the guy can make a gorgeous looking picture. With Fantastic Mr Fox, Anderson takes his obsessive-compulsive brand of movie making into the painstaking realm of stop motion animation, stepping into territory usually reserved for the likes of Tim Burton or Henry Selick. It’s a risky transition for any director to make but one that he manages to pulls off with aplomb. Anderson’s adaptation of this familiar Roald Dahl classic is a cussing film for adults mascaraing in the joyful trappings of a movie for kids. All of the fractured personalities we’ve come to expect from the director are present, lovingly brought to life from his quaint, autumnal palate. Mr Fox is a struggling creative, denied access to his true love of adventuresome thievery in order to be a family man. His feelings of inadequacy as father trickle down to the frayed relationship with his moody son, a connection that’s made worse by the appearance of displaced cousin Kristopherson and some competitive sibling rivalry. Mr Fox wants what’s best for his family – a better, safer home – but by chasing this goal he puts his entire furry community at risk from three ruthless farmers, Boggins, Bunce and Bean. Anderson’s usual crew all appear vocally. Jason Schwartzman is perfect as Mr Fox’ s attention seeking son Ash, Bill Murray goes wild as real estate agent and unlikely demolitions expert Badger and Michael Gambon grumbles as the miserable leader of the anti-Fox collective, Farmer Bean. Even Anderson regular Owen Wilson makes time for an appearance, albiet a small one, as Coach Skip, a somewhat throw-away role that nevertheless provides one of the movie’s most entertaining scenes. Anderson does welcome some newcomers to the fold, however. George Clooney is expertly cast as Fox, transforming a 2D kids book character into a smarmy know-it-all going through a mid life crisis. Meanwhile Meryl Streep quietly excels as Fox’s wife and pillar of support, both actors gelling seamlessly with the director’s trademark style. Here’s hoping they become familiar faces in Anderson land. 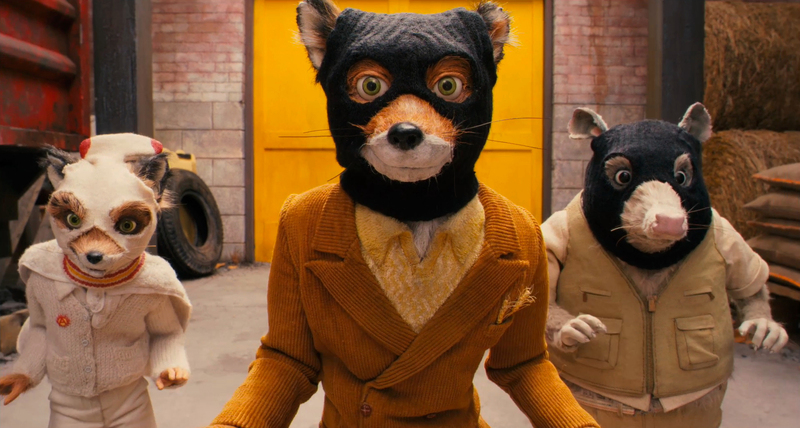 Posted in Film, Reviews and tagged Bill Murray, Fantastic Mr Fox, George Clooney, Jason Schwartzman, Meryl Streep, Michael Gambon, Review, Simon Bland Review, Stop motion, Wes Anderson. Bookmark the permalink. I also contribute to the super cool Sticks&Stones Magazine. I review films too, check me out!